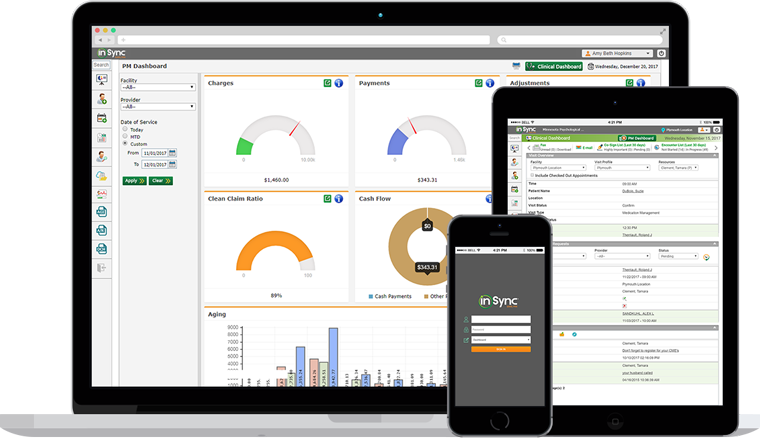 To better meet the needs of OB/GYN practices, InSync has created a specialized version of its electronic health record & practice management software, as well as revenue cycle management services. OB/GYN practices specialize solely in women’s health. Gynecologists deal with a woman’s reproductive health, while Obstetricians care for women during and directly after their pregnancies. The templates, care, and services provided at OB/GYN practices differ greatly from those of a less-specialized office. To better meet the needs of OB/GYN practices, InSync has created a specialized version of its EHR, PM, and RCM software.